With over 20,000 employees and customers in over 80 countries, this NASDAQ traded company trusted Alexander Schneider’s technical and logistics expertise to design, engineer and manufacture integrated IT racks & cabinets for its global customers. Within days of receiving the purchase order, Alexander Schneider provided a completely integrated cabinet, ready-to-use, populated with HP servers, IBM Storage and Juniper Switches. The cabinets are packed (fully populated) for international transit and shipped internationally to the end customer’s location, almost anywhere on the globe. There, Alexander Schneider’s team installs the cabinet in the end customer’s data center. 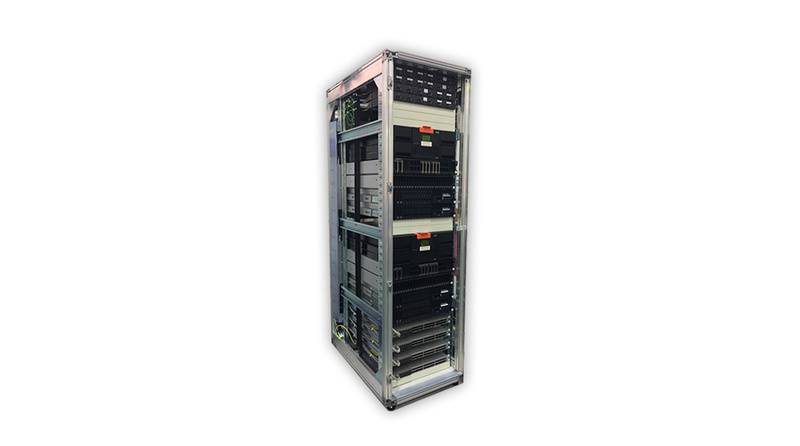 Each rack (aka cabinet) is custom configured to the project’s requirements. Packing, shipping and on-site installation, anywhere (almost) in the world. The whole cycle takes 8-22 business days. The customer is able to focus on their core activities of developing and marketing software solutions while gaining competitive advantages (time to market, high quality) and achieving significant operational savings.